The video uses Adobe Flash Catalyst CS5 as a tool to help walk through the important concepts involved. It’s not necessary to own or have Flash Catalyst to get a lot out of the training, although if you would like a free trial to use or follow along with, you can easily download it for free. Each chapter also includes downloadable sample files to use as you go through the demonstrations, so be sure to look for those. Strive for consistency in appearance and behavior, because it facilitates usability, credibility, and trust. Most interfaces are inherently visual, so make certain that people know when and where they can interact with it. Meaningful and unambiguous labels, content, and interactions make it possible to quickly understand and repeat an experience. Set expectations about what will happen during and after an interaction to minimize confusion and dissatisfaction. Acknowledge interactions and provide information about status, location, progress, and completion. 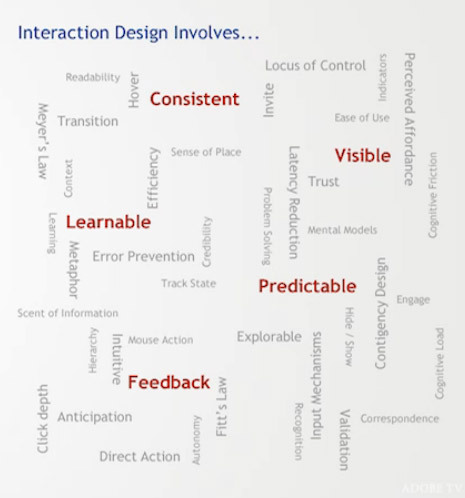 Interaction design is ultimately not about the behavior of the interface, it is about the behavior of people. So whatever you’re designing (website, game, system, software, GUI), go ahead and watch it now – it’s completely free. 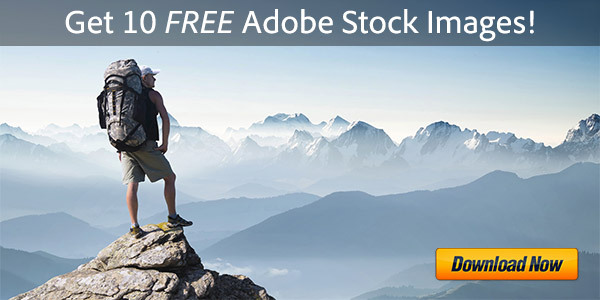 Also see here for a comprehensive set of free CS5 tutorials for all products. If you’re interested in longer-term design study (digital, visual, web, video), check out the free year-long Adobe CS5 curriculums for students, teachers, and all. Hi very informative and good post. These design principles are essential for any site design. In my opinion for a good website, you will need to apply these principles in a wise manner. Thanks for sharing such a valuable post.